Taketombo is a Japanese toy. “Tombo” means “dragonfly” in Japanese, but it is not a real dragonfly. 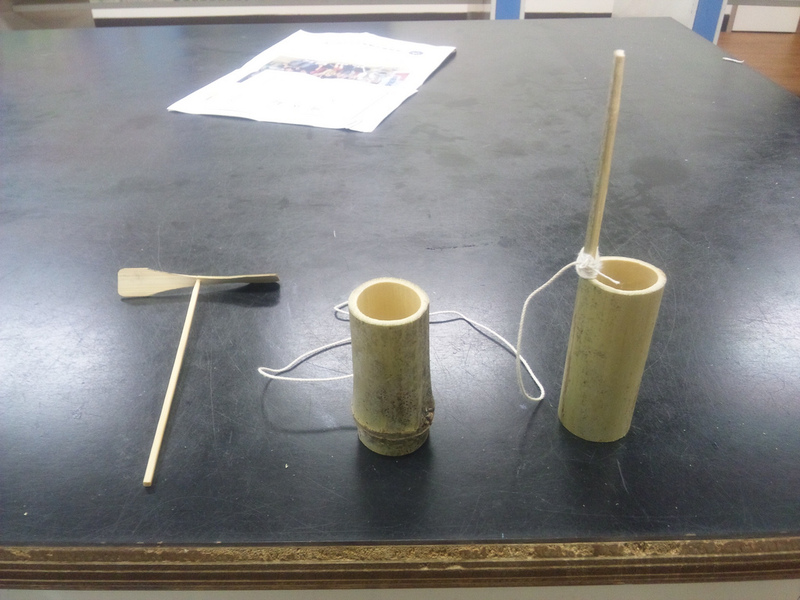 Actually it is a toy made of bamboo and usually played by flying in the air. Taketombo is a kind of bamboo craft and Japanese children used to play with it in the old days. There are two ways in enjoying taketombo. One is to make it and the other is to compete the height or the duration in the air by flying it with somebody like friends. To make taketombo, first shave a piece of bamboo which has already cut about 10cm in length and 1.5cm to 2.0cm in width into a propeller shape considering the left and right balance, it will be the wing of taketombo. 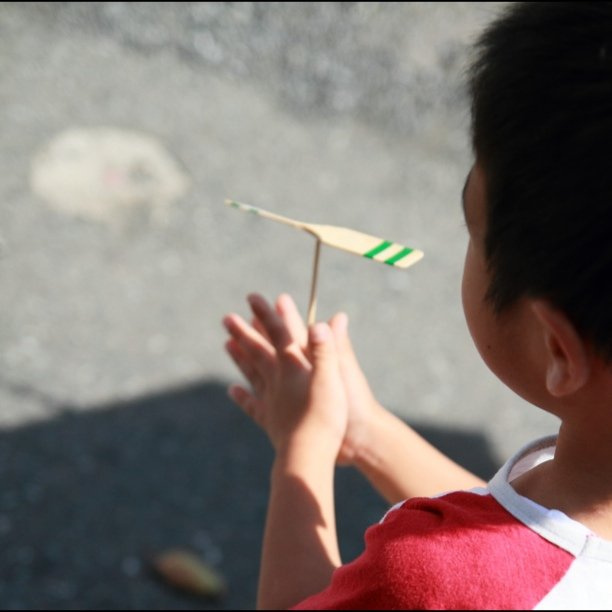 Taketombo is said to be created in the Edo period probably by Hiraga Gennai, but it is also possible to have been played as a toy from the ancient times since some wooden parts like taketombo are found in the site of Nara period. There is also something like taketombo in China and the word “Hisha” mentioned in a Chinese historical document is considered to be the same thing as taketombo. Taketombo was introduced to Europe around 15th century and some Madonna and Child pictures are drawn with something like Taketombo. How about playing with taketombo going back to your childhood? Events in whuch you can try taketombo with your children. Kiyosumiteien is also great for sightseeing. 150 yen for adults, 70 yen for those 65 years old or more.